The AT&T Dolphin Celebration is a flip- and splash-filled show that features our dolphins and their trainers, as well as important education messages. Focusing on the beauty, grace, athleticism and intelligence of bottlenose dolphins, this presentation uses a variety of new behaviors that focus on each characteristic. 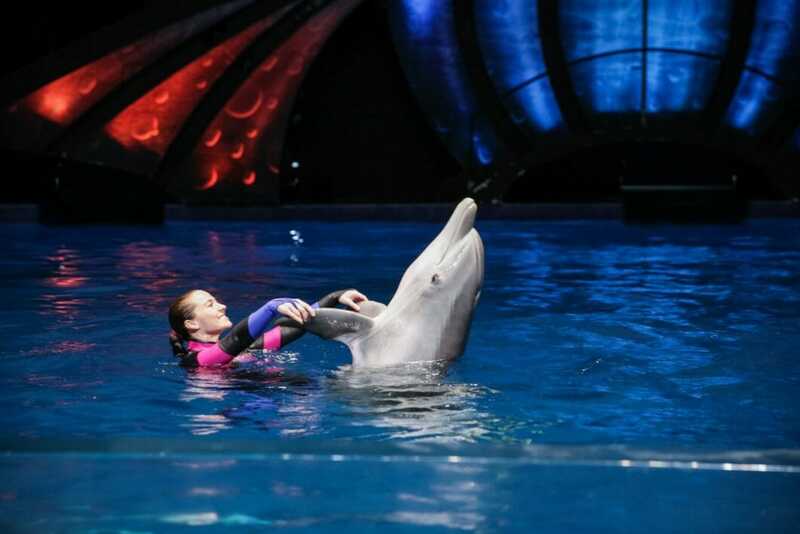 A fun and exciting experience that showcases dolphin behavior. 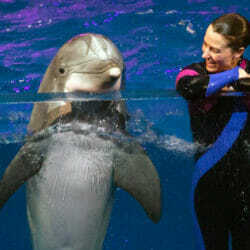 Become an honorary trainer as you work with our team to direct a dolphin. If you sit in the splash zone, prepare for our playful friends to get you a little wet. Is reserved seating available for the sea lion presentation as well? At this time, reserved seats are not available for the sea lion presentation. What happens if I miss the dolphin presentation I purchase reserved seating tickets for? It is recommended that guests plan ahead to enter the AT&T Dolphin Coast gallery about 15-30 minutes before presentation time, to allow time to enter the dolphin theater, find your seats and enjoy the educational dolphin presentation pre-show entertainment. If you miss your scheduled dolphin presentation, Georgia Aquarium cannot guarantee you a reserved seat in another dolphin presentation. 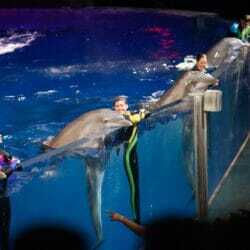 What happens if the dolphin presentation I purchase reserved seating tickets for is cancelled? Will I receive a refund? 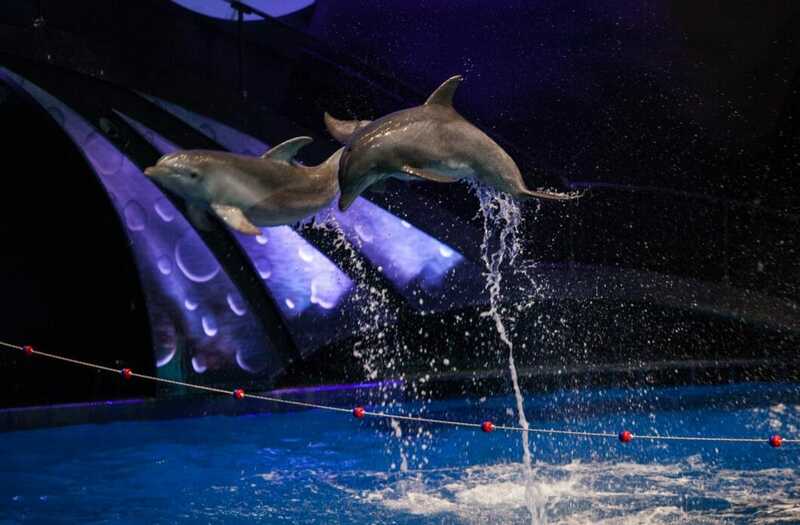 In the event that a dolphin presentation is cancelled, guests who purchased reserved seats will be issued a refund for the full cost of reserved seating. Where should I go when it is time for my dolphin presentation? Will there be a separate line for reserved seating? About 15-30 minutes before the scheduled dolphin presentation, you should make your way to the AT&T Dolphin Coast gallery entrance in the main Atrium, take the escalator upstairs and continue through the Dolphin Coast lobby until reaching the queue space for the dolphin theater. Follow signs for the separate line for reserved seating. No refunds will be issued unless the presentation is cancelled. Is reserved seating available for all dolphin presentations throughout the day? Typically, reserved seats are available for purchase for all dolphin presentations throughout the day, although this may be subject to change. For the most up-to-date information on reserved seat availability, visit our website, the Georgia Aquarium app, or inquire at the information desk in our main Atrium. Is there a designated area for reserved seating inside the dolphin theater? Will I be able to choose my seat? A certain number of seats in the dolphin theater are designated as reserved seating. The reserved seating is a VIP area directly above the splash zone in the center of the Dolphin Coast theater. 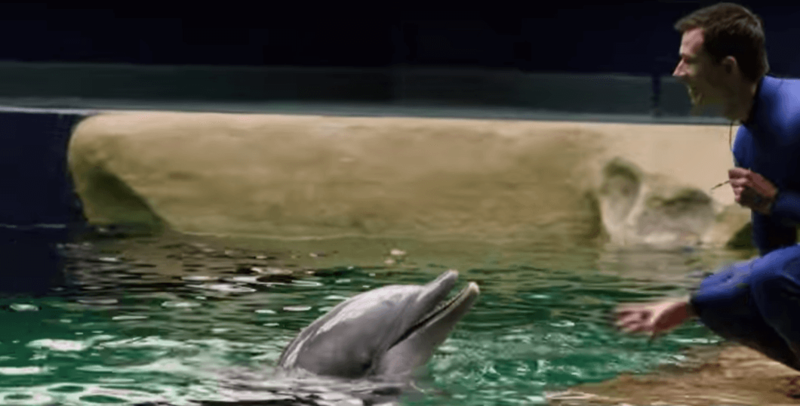 Can I purchase reserved seats for more than one dolphin presentation? Yes. You may purchase reserved seats for as many dolphin presentations as you would like. You will need to make a separate purchase for each dolphin presentation you would like to attend with reserved seats. How many reserved seats are available for each dolphin presentation? A limited number of seats in the dolphin theater are included in the reserved seating option. The exact number may vary depending on availability. We recommend planning ahead and purchasing reserved seats ahead of time. Can I purchase a reserved seat for the dolphin presentation in the dolphin theater or elsewhere in the AT&T Dolphin Coast gallery? No, tickets must be purchased on our website, at one of Georgia Aquarium’s ticketing windows, or at the information desk in the main Atrium. You may also purchase a reserved seat on Georgia Aquarium’s mobile app. 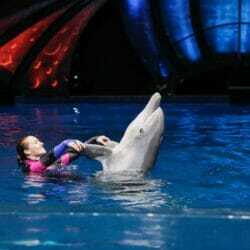 Where can I purchase reserved seating for dolphin presentations? Reserved seating for the dolphin presentation may be purchased on our website, at one of Georgia Aquarium’s ticketing windows, or at the information desk in the main Atrium. You may also purchase a reserved seat on Georgia Aquarium’s mobile app. When can I purchase a reserved seat for the dolphin presentation? Is there a time limit? Reserved seats may be purchased for any dolphin presentation up until 15 minutes before presentation time, while space is available. Will Members receive a discounted rate for reserved seating purchases? The price of reserved seats in the dolphin presentation is $5 plus tax for members as well as general admission guests of Georgia Aquarium. 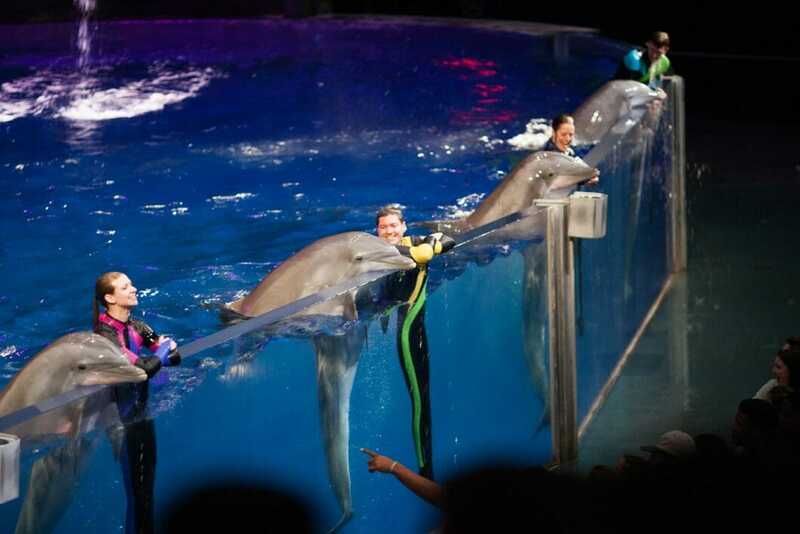 How much does it cost to purchase reserved seating for a dolphin presentation at Georgia Aquarium? 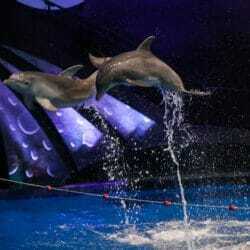 The show time varies each day, though it is typically held around 11:30 am, 3pm and 5pm. To get exact times, visit our 2018 Calendar. Do I need to purchase a separate ticket in order to see the AT&T Dolphin Celebration presentation? No, the dolphin presentation is included with your general admission ticket. However, reserved seats to dolphin presentations may be purchased separately. 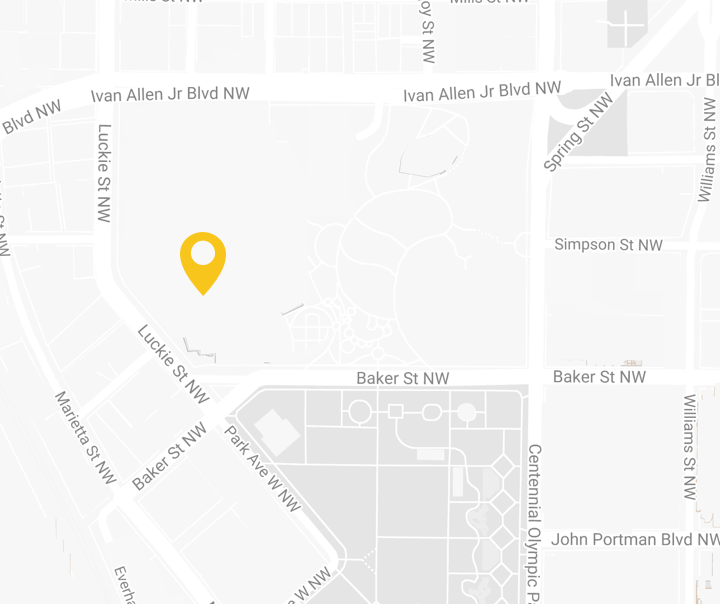 Please be advised that the use of visual stimuli, including flashing lights or patterns, theatrical fog, and lighting effects along with loud music are in use on this property. If you have health problems that could be affected by these types of conditions, please take that into consideration before participating. Show is free with a general admission ticket, with first come first served seating. Reserve a seat ahead for $5.